Jason Stopa interviews painter Beverly Fishman on the occasion of her show DOSE, curated by Nick Cave, at the CUE Art Foundation, New York, on view through April 5, 2017. Fishman comments: "I believe that it’s important that the viewer know my content. That’s why I think my titles are significant, because they help to direct people’s readings. On the other hand, even if a viewer comes to my paintings without knowing the concepts behind them, I believe that there’s enough in the works themselves for the spectator to get that they are far from pure. 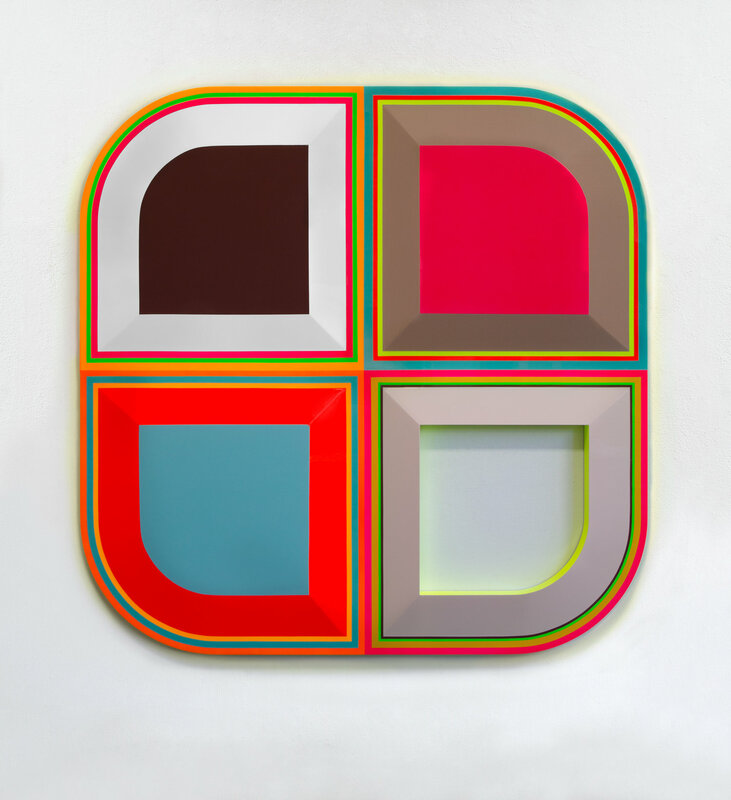 The sleek industrial paint jobs, the sometimes-sickly saturation of hues, the jarring contrasts of natural and synthetic colors—these are formal qualities that, for me, push the paintings in the direction of a critique of geometric abstraction, with its traditional connotations of transcendent aloofness and apartness from life. Throughout its history, abstract painting, even in its most self-reflexive forms, has always found viewers who saw it as referring beyond itself to its social context. In my work, I hope the colors and forms—even if you know nothing about them—evoke a technologically mediated world, one in which our desires are fed by the mass media and our identities are influenced by the products that we consume."